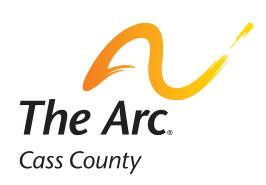 The Arc of Cass County provides paid retail training internships for individuals with intellectual and developmental disabilities during the summer. Participants who are 16 years or older from Cass and Clay counties are welcome to apply. Individuals who are accepted will be placed at The Arc Attic Treasures location that best suits their abilities and training needs. Training will be individualized for each student with mutual goals set between the student and The Arc of Cass County. Goals will be developed using The Arc's job description for the Cashier/Sorter position. At the end of the 6-8 week internship, an evaluation will be given to the student. If you are interested in applying or to hear more, contact Arielle at arcadmin@arccassnd.org or 701-293-8191.